Three months in, and I’m beginning to hate the sight of the darned thing. I have been rotating other single shadows and small palettes in, and concentrating on one shadow in this one at a time. 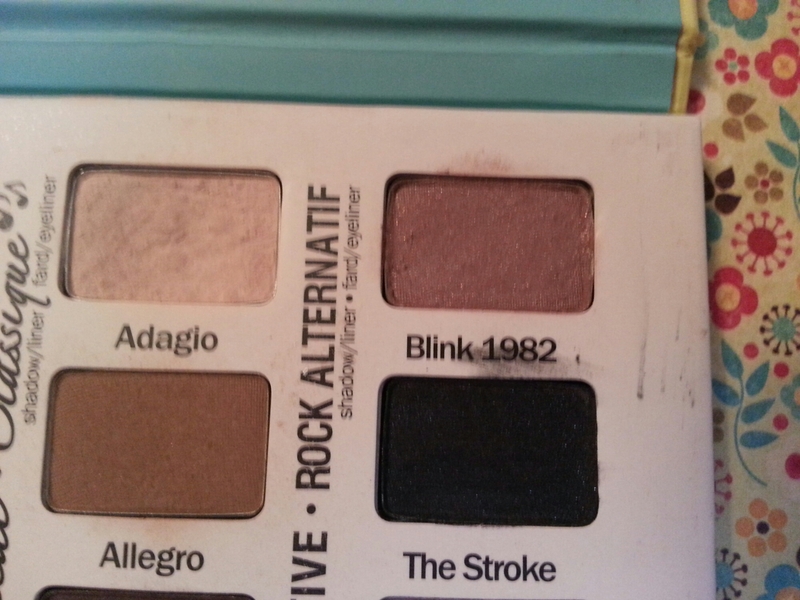 I have hit pan on Blink 1982. (Woot!) The problem I had with that one is that it’s close to the same color as the only matte mid-tone brown in the palette which is what I use to create my crease. Things got a bit muddy. 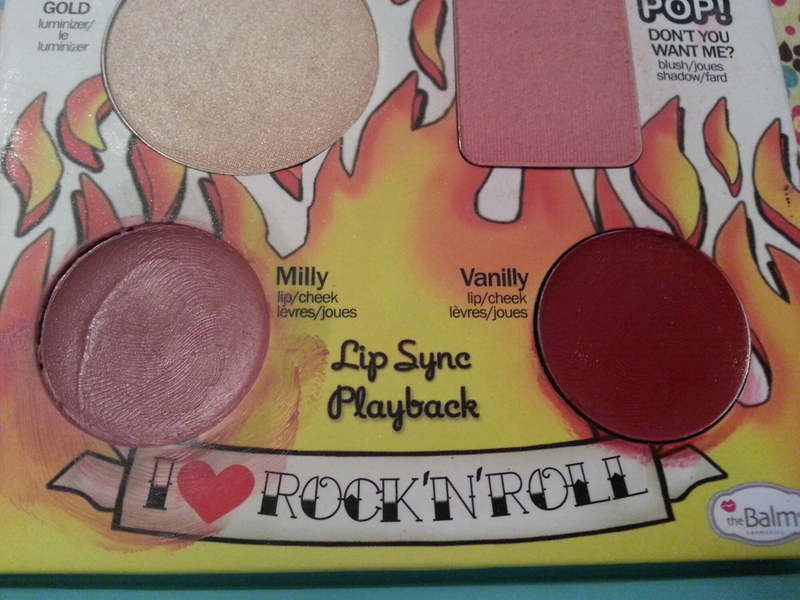 Actually, that’s my problem with this palette in general. At least with the way I do my eyes. There are three extremely dark shades that, when applied, create about the same effect on the eye. The stroke, moderato, and presto are too dark to be used as anything but liners in my everyday life. I won’t ever use the green or the silver. So that leaves me with a crease shade, and four mid-to-light shadows that I probably won’t ever use together. I have to get more creative. I’ll keep plugging away. 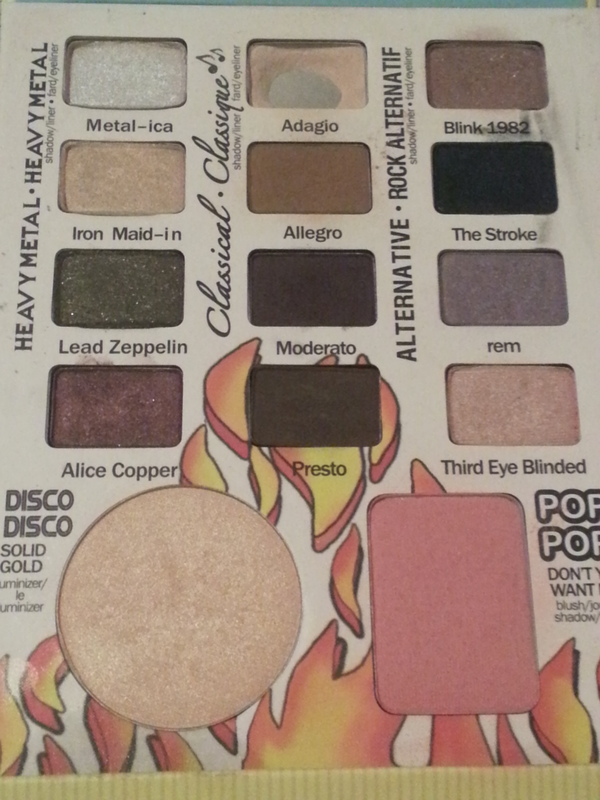 I would love to hit pan on the pink shade, Three Eye Blinded by the end of April. It’s almost invisible on the lid, so I might use it as a kind of top coat over other shadows. We will be traveling at the end of the month. (Woot again!) I have been careening toward burnout at work over the past couple months, so some time away from it and just daily life in general will be a relief. I will not be taking this with me. Maybe that’ll be motivation to use it, since I’ll lose almost two weeks on the project. 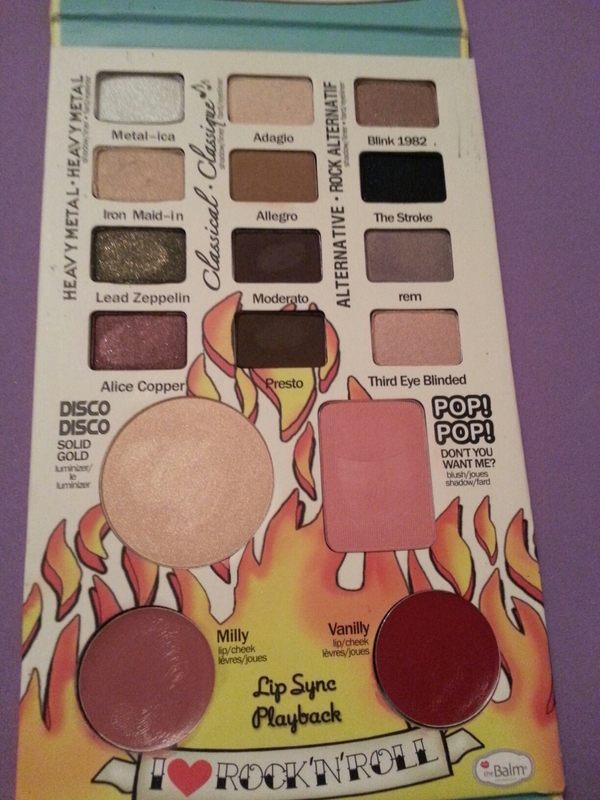 This entry was posted in Project Pan and tagged Pan That Palette, Project Pan, the balm on April 8, 2015 by Mel. It’s time for a Pan That Palette update! I stumbled over the originator of this project, Amber F., on YouTube this month, and thought I would link to her. Just in case other project panners in the blogosphere might be interested. She has some really good videos on project panning and no-buys and how to keep motivated, among other things. I hit pan! Granted, it was the lash-to-brow color, but still! So far, that’s the only one. I’m getting a nice little dip in Blink 1982. It’s got a lot of sparkle, so I’m using it as a lid color. My goal for this upcoming month is to try to hit pan on it. 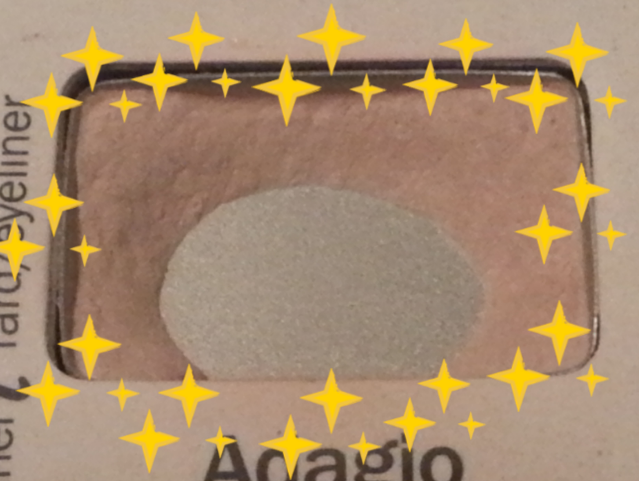 Allegro gets daily use as my transition/crease color, but it isn’t showing as much wear as Blink. These are tightly-packed, pigmented colors, so one generally doesn’t need much. I have a feeling this is going to be more difficult than most other palettes I could have chosen. But I’ll stick with it! I’m going to be using the face products until the end of time. The cream products are starting to look a little yucky. What I might do is depot them into a different container. This will keep them from ruining the packaging and make it easier to tell how much I have left to go. 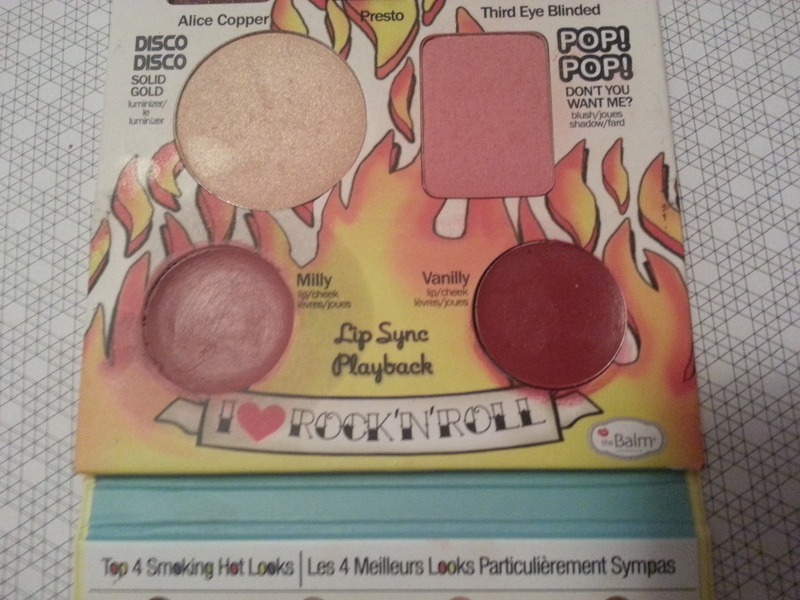 This entry was posted in Project Pan and tagged Pan That Palette, Project Pan, the balm on February 25, 2015 by Mel. We’re moving right along on the Pan That Palette challenge! This is where I’ve been living this month. As predicted, here’s a nice little dip in Adagio. 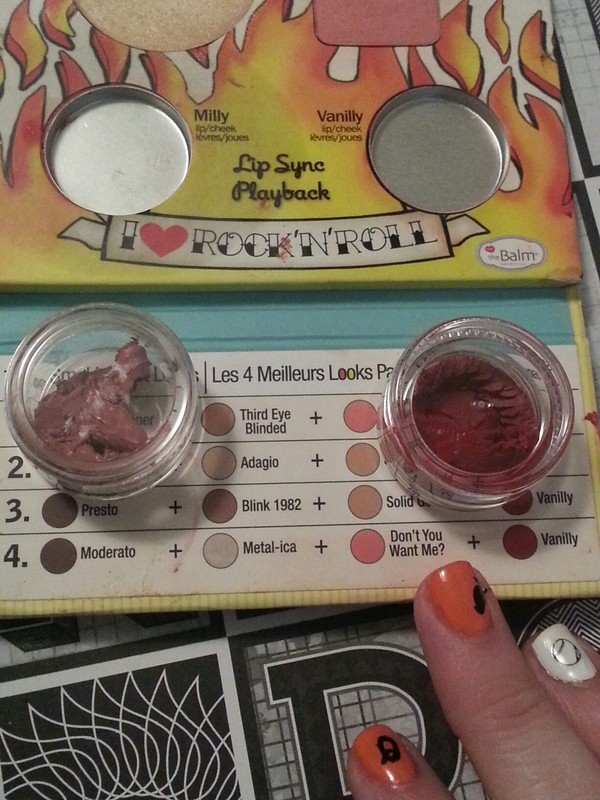 It matches my skin tone, just like W&W’s Brulee, so I use it from lid to browbone as a blending aid. Allegro’s been my go-to in the crease with the sparkly pink Blink 1982 on the lid. The Stroke’s been working as an eyeliner. I’ve used all the shadows except for Lead Zeppelin. It’s not at all the right shade of green for me, and honestly, if it’s the only shadow left at the end of this, I’ll consider this project a success. I’ve been cracking into the cheek & lip products since this is the reason why I chose this palette to begin with. Milly, obviously, being the favorite. Cream blush is best for me this time of year, so I should be done with these in a few months. I’m sure this will have been the easiest month. I’ve been rotating in some other palettes to give me more options than just these. 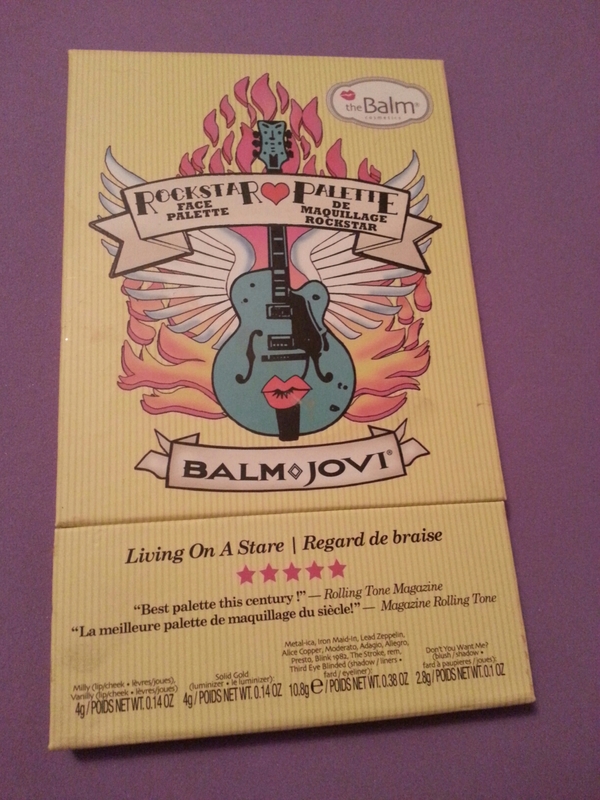 As long as I’m using the Balm Jovi, too. So far, I’m not getting too awful bored. We’ll see what happens next month! This entry was posted in Project Pan and tagged beauty, blush, eyeshadow, makeup, Pan That Palette, Project Pan, the balm on January 25, 2015 by Mel. 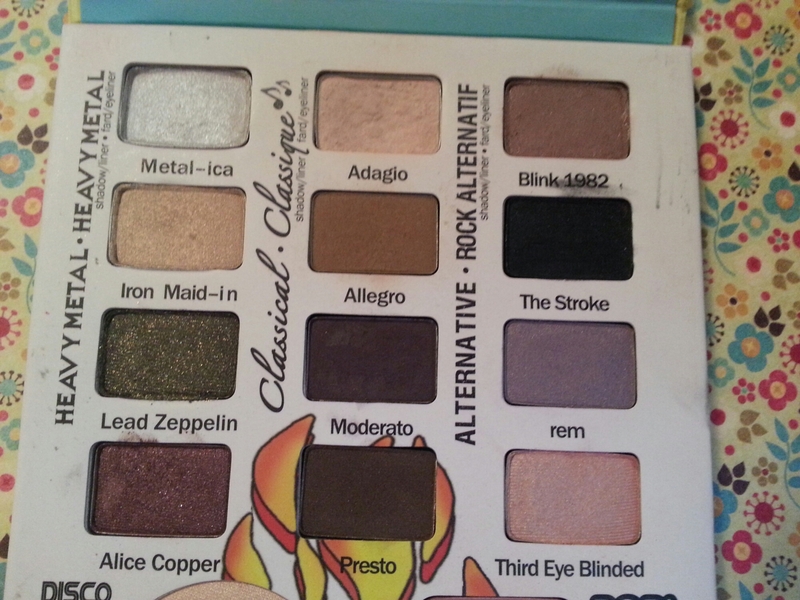 My Pan That Palette project for 2015 is…. I actually really enjoy using this one. It’s all inclusive with face products as well as a good selection of neutral eyeshadows. The inclusion of the cream products was ultimately why I chose it because those will get gross faster than the powders. I will probably end up using Milly and Vanilly as both lip and cheek items and then move on to the blush once the creams are gone. I’ll end up using the highlighter as an eyeshadow too. 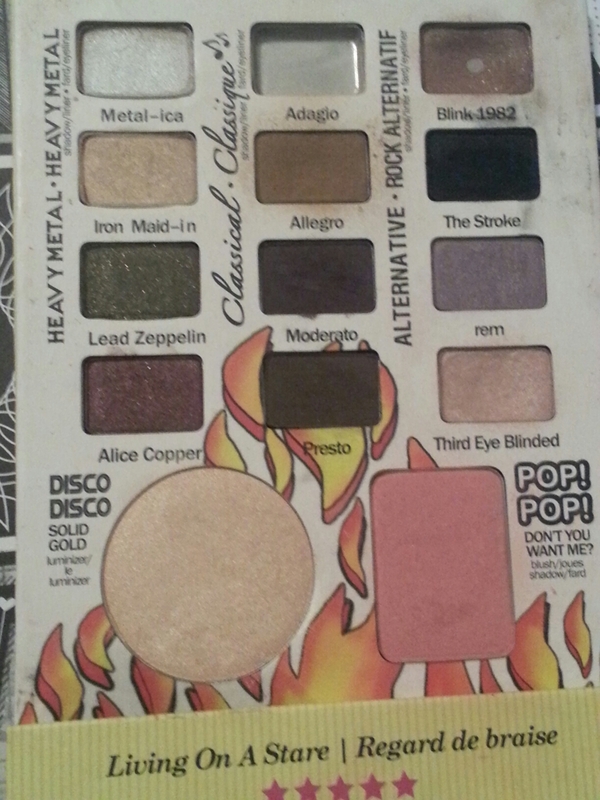 Of the eyeshadows, I predict Adagio will be the first to go. It’ll replace the Wet & Wild Brulee I usually use to blend with. The black will take the longest. Smoky eyes look hysterical on me, so black is usually relegated to liner status. I’m sure I’ll be thoroughly sick of looking at the thing by 2016 but I plan on using it in conjunction with other shadows and palettes so I won’t be hemmed in to just these all the time. We’ll see how far I get! This entry was posted in Project Pan and tagged Pan That Palette, Project Pan on December 25, 2014 by Mel. I acquired a lot of makeup and skincare products over the last year. I’m not going to pretend I don’t like to shop for girlie sparkly things. I totally do! But a couple of years ago, I went through a major change in my skin. It went from oily to dry in a matter of months. So I had to figure out how to deal with a new skin type. I did some experimenting with a lot of new products. It affected, obviously, the skincare I use but I also had to take into consideration the way I use cosmetics as well. My skin is in a more normal, happy state these days, but I several drawers full of products that were not ideal, didn’t work the way I thought they would, I didn’t like at all or I didn’t really need but I bought anyway because they were pretty and I wanted them. (No apologies!) I don’t want to waste something I paid good money for. So I decided, for 2015, to make a concentrated effort to find ways to make use of everything in my collection and to use products up. This is not a no-buy. I know now what kinds of products work for me and what doesn’t and no longer need to experiment. I don’t have to use the product for its intended purpose. Concealers as primers? Yeah! Bronzer as eyeshadow? Why not? Some items will require some creativity because I can’t use them the way they’re supposed to be used. I can give up on a product as long as I exhaust every possible use option. I can give up on a product if it begins to smell, dries out, or exhibits other signs of spoilage or states of being that prohibits use. I can give up on a product if it is harmful to me. I will use a product until it is reasonably used up. I will do my best to make use of every last bit, but I don’t have to potentially injure myself or spend a lot of time cracking into packaging to do so. I will post progress reports here every 2-3 months or as needed. This entry was posted in Project Pan and tagged Pan That Palette, Project Pan, Project Polish, Project Product on December 24, 2014 by Mel.